I have had my license for almost two months now, and I have learned quite a bit! Today what I am going to talk about is LP siding. Louisiana Pacific (LP) is a company that was founded in 1973 in Tennessee. This company pioneered the production of oriented strand board (OSB) panels. Which was an alternative to the more expensive plywood and solid wood building materials. OSB panels where sold to building manufacturers and homeowners all across the US. To make OSB panels Louisiana Pacific would harvest small diameter, faster growing timber rather than old growth, and send the cheaper timber through processing to become wood chips. They would then mix the wood chips with glue and set it into a mold to fit the desired diameter for construction. This saved on time and cost, not to mention LP’s OSB panels where easy to install! In 1985 OSB panels hit the Northwest markets and where the desired material used to construct siding. Many homes where made with LP’s OSB panels as it was inexpensive, quick, and uniform looking. Unfortunately for us up here in the North West, our climate was not factored into the longevity of the panels, made from woodchips and glue, and years later these OSB panels started to disintegrate. One of the major concerns for homeowners and buyers was that the panels would not only sag into clumps of mush along the exterior of their home, but that the mush would rot and host mold and fungus; later requiring a lot more effort to remove then to install the panels themselves initially. From 1990 to 2000, LP’s OSB panels where installed into nearly every new construction: as contracting companies where usually outsourced and received their orders to build from out of state, so many companies would use LP siding in an effort to conserve funding. This flourishing action of business can be used to date homes with LP siding within the ranges of the late 1980s all the way through the late 1990s. So let’s revisit that moment when my mother and I are standing in the driveway of the first home that we showed to my cousin and her husband: The point where we look over the house and notice the little nit-picky things to ensure that the buyer is well-informed about what it is they are likely to purchase. The home was built in 1998 and very clearly had LP siding. 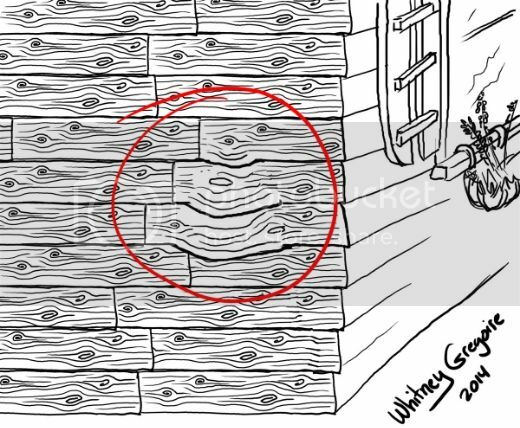 LP siding is easy to spot due to its pattern: there is a token ‘wooden knot’ looking print that is used over, and over again on LP planks to make it look like actual lumber. When we brought this up with my cousin we explained the draw-backs of having LP around the exterior of the house. However, this particular house was very well managed. This home had received a good paint job, which ensured that water did not get past the paint to affect the planks. Keep in mind: paint does age just as the rest of the house would, and in the future would require a thorough, waterproof, exterior paint job or complete exterior replacement. One of our suggestions we made for my cousin was to provide a low offer so that they could get the house at a fair price and spend some money on replacing the LP siding. All in all, LP is not the greatest external material here in the North West. It does well in climates that are dryer and provide low threat for mold or fungus. Though we do not have nearly as much of a threat in mold as other states do (Texas being the leading state for issues involving mold). The North West still deals with fungus, and above all rain, rain, rain, and more rain! Thank you for reading along with me. I look forward to sharing more with you in the future! LP SmartSide siding graciously requests the opportunity to provide feedback to your post. LP is committed to the siding category and over 17 years ago re-engineered its manufacturing process and product design incorporating the SmartGuard process. 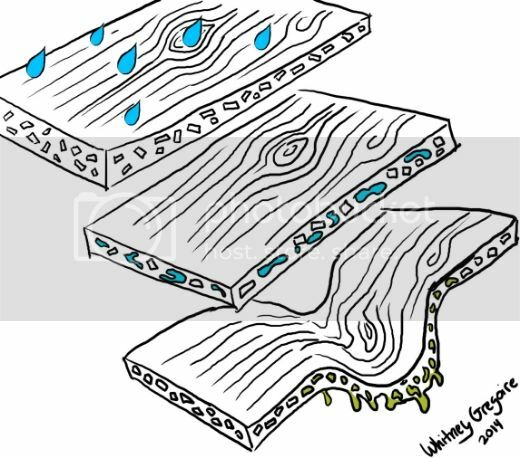 The SmartGuard process incorporates zinc borate preservatives which help protect against the rot cycle and termite damage. I wish to thank you, and LP SmartSide siding, for providing feedback to my post on LP Siding. My fellow agents and I view this blog as a place to be informed about the various things met when buying and selling homes, and I fully encourage your consideration and acknowledgment as it will help our readers gain a better understanding on the matter. Thank you, Whitney, for your time and thoughtful response. LP is happy to answer questions about LP SmartSide engineered wood siding and trim via email (http://lphowto.com/contact-us/index.aspx) or a toll-free number, 888.820.0325.